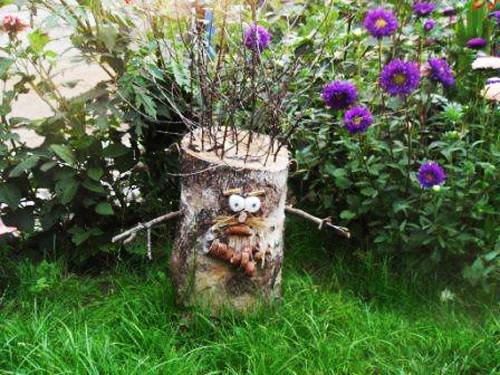 Tree stumps are a perfect material for nature-inspired garden art and original yard decorations. 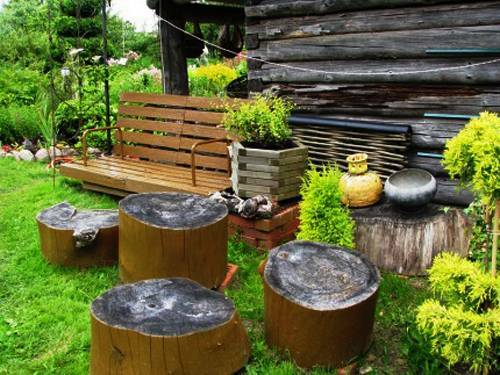 Lushome shares ideas to recycle tree stumps for rustic furniture, wooden paths, stands for flower pots, and art installations. 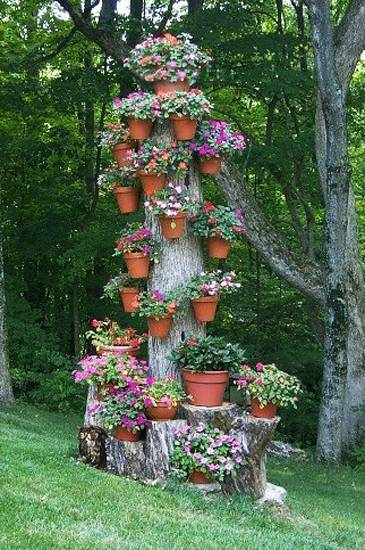 These spectacular works make fabulous centerpieces for backyard landscaping. Creative painting ideas, flowering plants, metal accents or wood artworks add personality to gardens and make a statement. 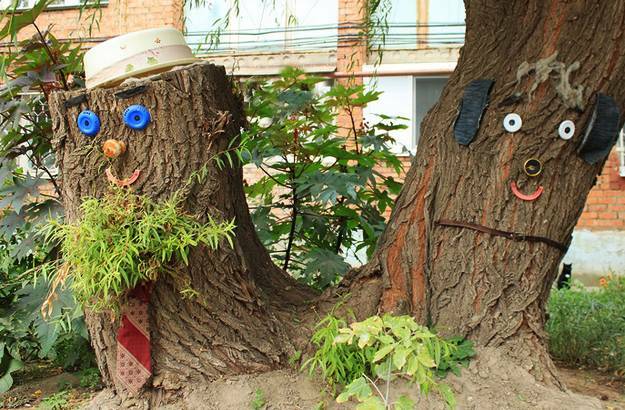 Recycling ideas help turn unappealing dry wood into garden decorations and building materials. 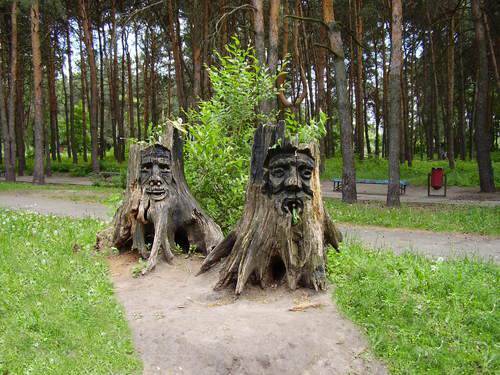 You can add bright colors and humorous designs to stumps and spruce up your yard landscaping. 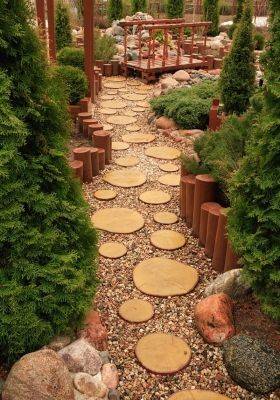 Building fences with dry logs or making garden paths with wooden slices are creative ways to recycle wood and beautify yards. 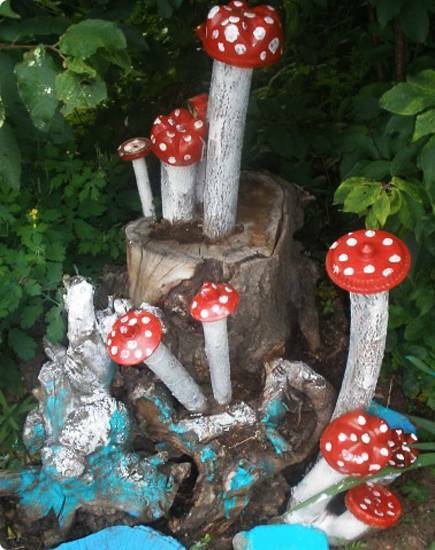 If you want to find a creative way to show off your flowering plants or metal artworks, use a tree stump that adds a natural vibe to your displays. 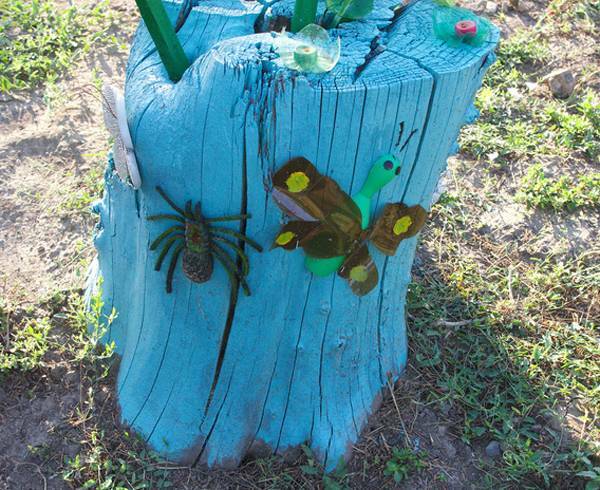 Paint is an excellent tool for decorating stumps. 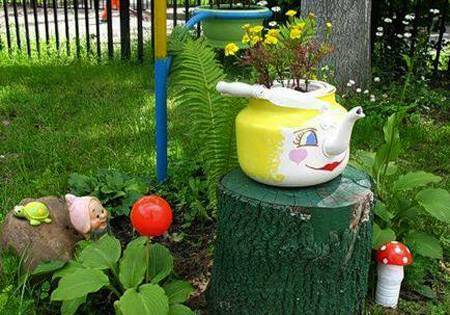 Bright colors and creative painting ideas complement your yard centerpieces and bring eye-catching yard decorations into your outdoor living spaces. 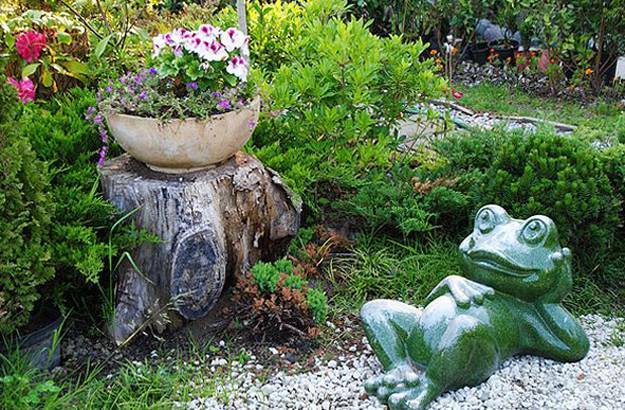 Unusual designs in bright colors are perfect for adding a whimsical touch to yard landscaping. 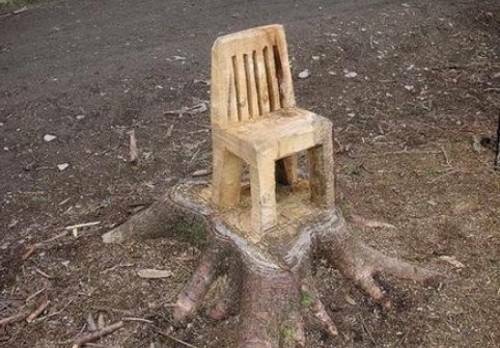 You can add color to a tree stump if you want, but the real beauty lies in its natural look, rustic texture, and grayish hues. 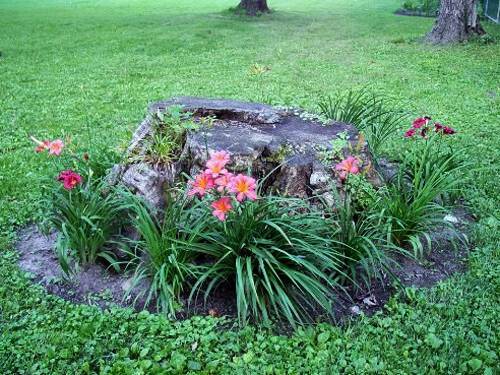 Instead of painting, decorate a tree stump with flowering plants, moss, and grass, creating an incredible focal point for your yard landscaping. 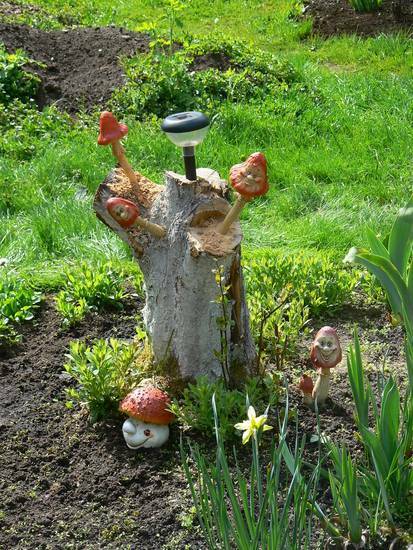 Everyone notices a bright stump, and you can easily create an instant showcase for beautiful flowers or homemade crafts that make gorgeous garden decorations also. 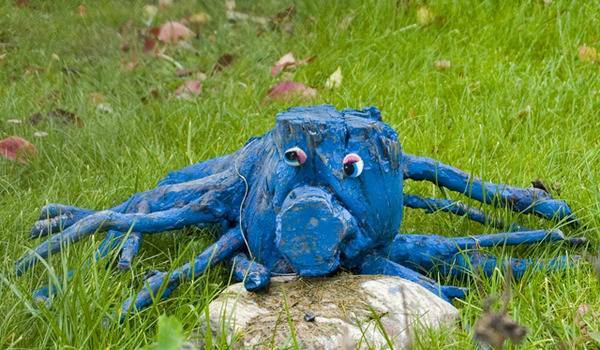 The best part of recycled crafts and art projects is the ability to create unique yard decorations with salvaged wood and other materials. 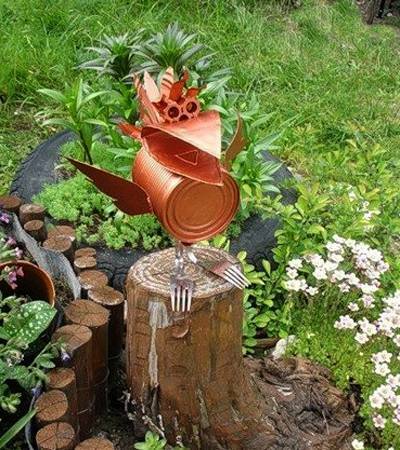 You can use wood or metal artworks, upcycle used items, and create sculptures to recycle junk for garden decorations. You can use old farm equipment or unique artworks made with old gardening tools to personalize your yard landscaping ideas. 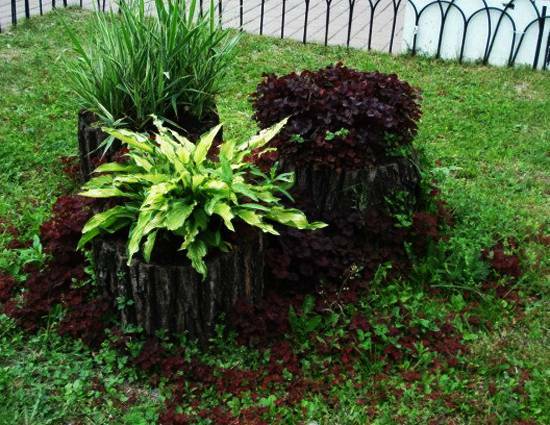 Adding decorative grasses, moss or flowering plants around a tree stump creates dazzling, bright, and impressive focal points for garden designs. Handmade garden decorations are original and cheap ideas that add interest and unique character to yard landscaping. 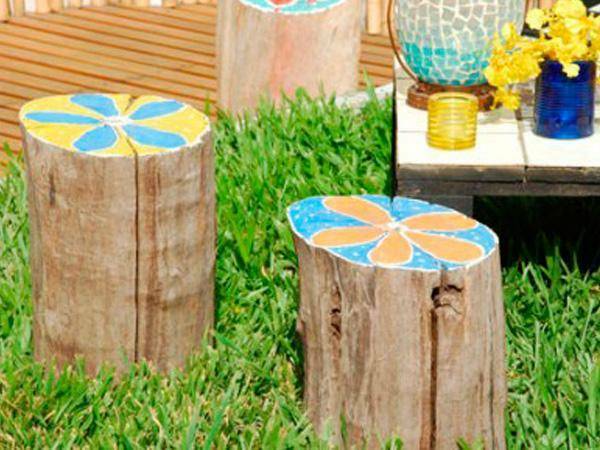 Simple painting ideas, crafty details, and vibrant colors turn tree stumps into striking centerpieces. They beautify outdoor living spaces and pleasantly surprise your guests. 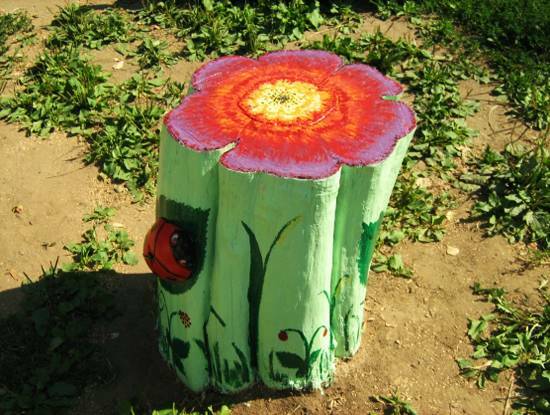 Colorful tree stumps make beautiful garden decorations and furniture for kids. 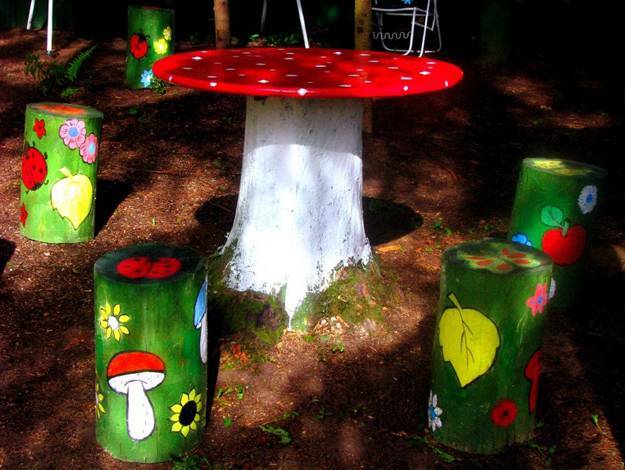 They can work as rustic tables and stools, bringing fabulous accents to your garden. 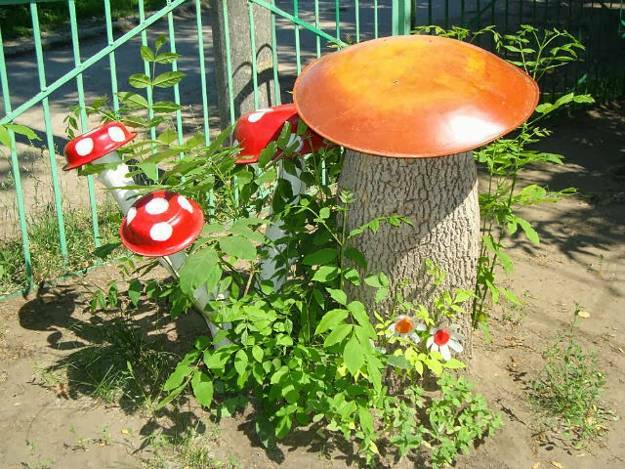 You can dress them up with paint, decorate or leave them natural to create a charming yard with a touch of vintage style. 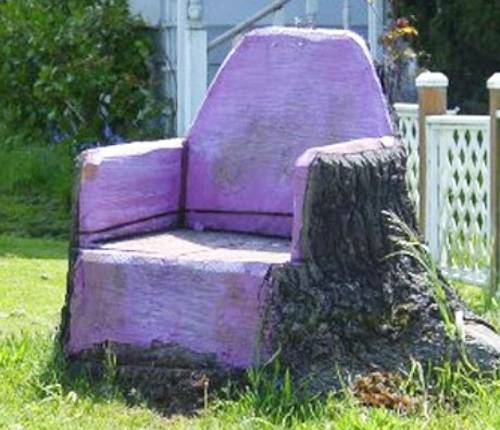 Unsightly old stumps in the middle of your yard can be transformed into various, bright, and beautiful yard decorations. Rather than trying to destroy or hide them, use outdoor paints or flowering plants for decorating and showing off these gorgeous natural accents. Add playfully colorful patterns, bold polka dots or stripes to increase the effect. 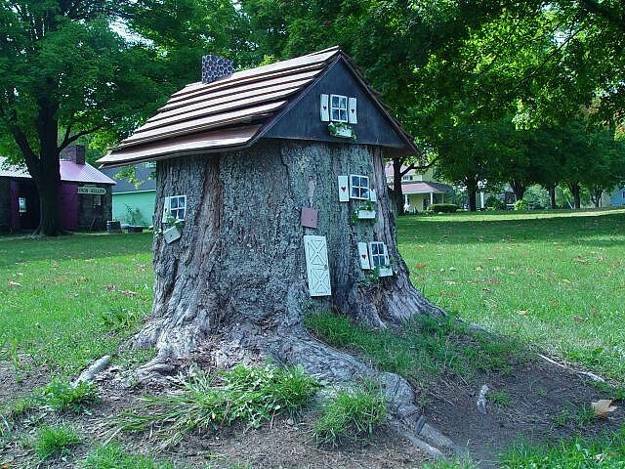 Homemade yard decorations and garden art are two fantastic ways to recycle tree stumps and add original details to your garden design and backyard landscaping. 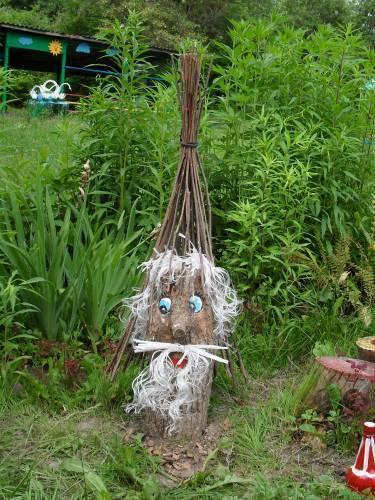 Handmade garden decorations are attractive and cheap. They allow enjoying exclusive designs without spending lots of money. 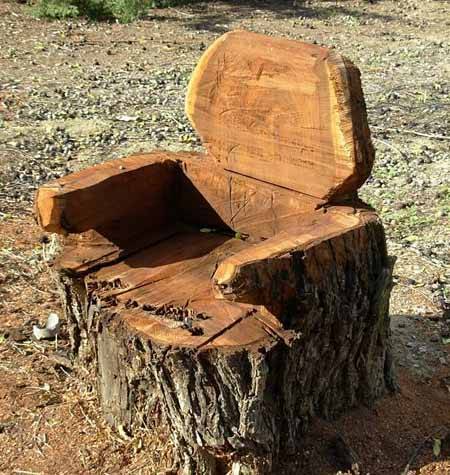 Just take a walk through your yard to find some dry wood pieces and tree stumps to recycle. Use these inspirations to personalize and brighten up your outdoor living spaces.